Step 1: In the bottom left corner of the screen you'll see the download bar. 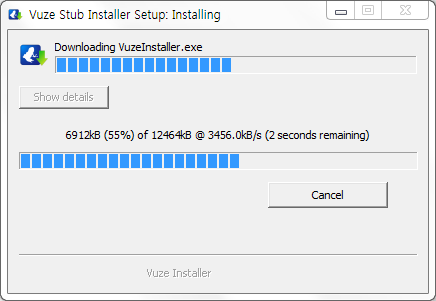 Click on the VuzeBittorrentClientInstaller.exe item. Step 2: Press Run in order to start the Vuze product install.